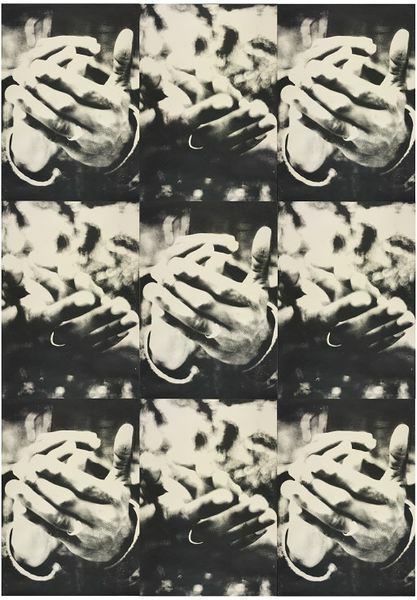 This wallpaper was designed as the backdrop for a group of domestic-style spaces created by the artists' group BANK for a show in 1994. The traditional concept of wallpaper is as background - to the point of being 'loud' or 'noisy' for the sensitive but not generally to the point of engaging in a dialogue with the inhabitant of the room. However, the congratulatory clapping hands reproduced here, on a vast scale, are at once amusing, sinister and bewildering. They seem to address the inhabitant directly, suggesting that, even in the privacy of our own domestic space, we are constantly the subject of judgement, even if only our own. The two different images of the hands alternate down the length of the paper, rather like a film strip. This may be deliberate as Boyce has said that the Judy Garland film A Star is Born was a source of inspiration. Film can capture us, without our being aware and then disturbingly, play us back to ourselves, suggesting both surveillance and vulnerability. Wallpaper has often featured in Boyce's paintings, and since this first paper, she has made several more, including the embossed papers which make up Lover's Rock, also in the V&A collection. 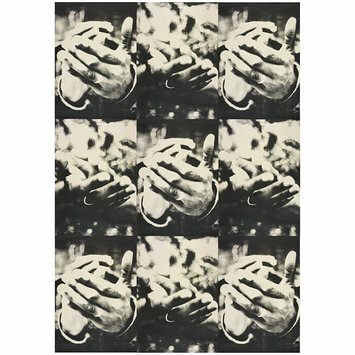 Roll of wallpaper with repeated over-life-sized images of clapping hands, printed in black and white. 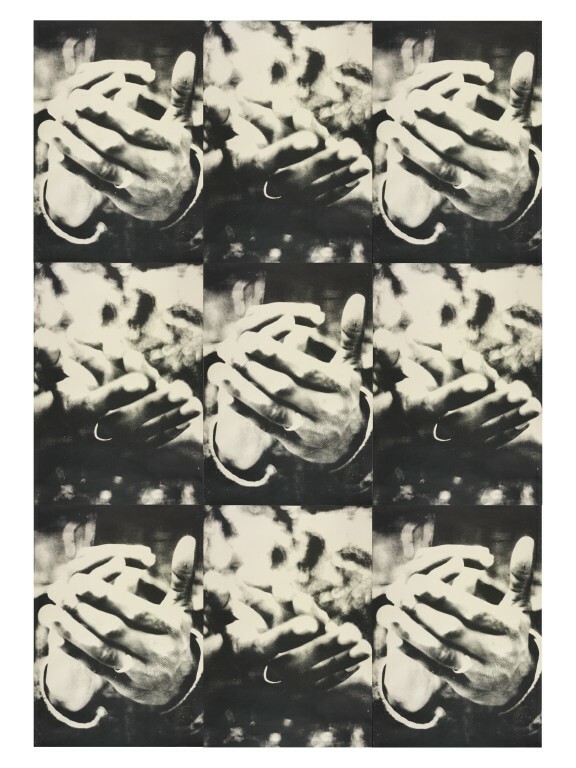 The paper was desighed for an installation as part of a group exhibition "Wish You Were Here", with the artists' group BANK, shown London and Newcastle, 1994.